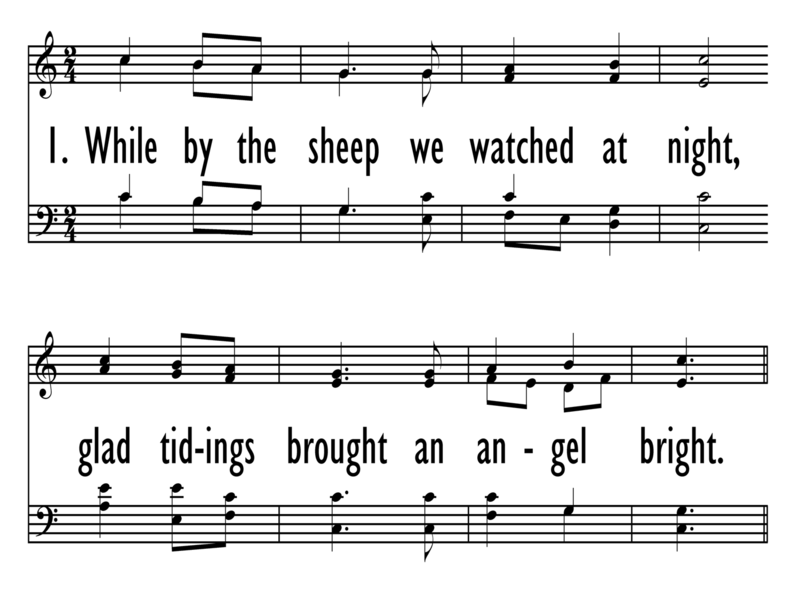 This song reflects the narrative of the shepherd’s response. See Luke 2:8-20. Let's Go Caroling While by the Sheep GO TELL IT! Hugo Jüngst came from an affluent, middle class merchant family in Dresden, his father owning a factory and warehouse for French millstones. Hugo received his first piano lessons at age seven, and in 1871, he entered the Royal Conservatory of Music in Dresden for a six-year program of study, specializing in piano and composition. He studied with Julius Rietz, Emil Bahr, Armin Boehme, Paul Janssen, Gustav Merkel, and William Rischbieter. In 1876, he founded the Dresden Männergesangverein (Men’s Choir) which he headed until 1903. In 1891, he was appointed Königlichen Musikdirektor (royal music director), and in 1898, Königlichen Musikprofessor (royal professor of music). He received several awards in his lifetime, and performed internationally in Europe and America.